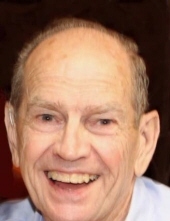 Harold David Wood, age 80, died January 24, 2019. He was born February 1, 1938 in Alta Loma, CA to Claude and Hazel (Phillips) Wood. He grew up in Arapaho, OK and graduated school from there before joining the military and served his country in the United States Air Force. During this time he married the love of his life Jean Carol and they spent many wonderful years together before her passing in 2013. After the military he went to work for the Air National Guard, the US Forest Service and Civil Service as an electronic technician. He retired from FAA in Oklahoma City and settled in Mustang, OK. Harold was in to anything “techy” he always had the latest tech gadgets. He was preceded in death by his wife Jean, parents and sister; Betty Lou Collins and sister in law Betty Jo Wood. He is survived by his three sons; Howard and wife Melissa, Troy and Kevin and wife Cherise, one daughter L’lana Doudney and husband Andrew, six grandchildren; Austin, Ali, Ambrea, Cayeden, Emerson and Addison, one great grandson; Jacquimo and one brother; Claude Wood Jr.. Funeral Services will be 10:00am Tuesday, January 29, 2019 at McNeil’s Funeral Service, Mustang, OK with interment to follow at 2:00pm at Ft. Sill National Cemetery in Elgin, Oklahoma. To send flowers or a remembrance gift to the family of Harold David Wood, please visit our Tribute Store. "Email Address" would like to share the life celebration of Harold David Wood. Click on the "link" to go to share a favorite memory or leave a condolence message for the family.